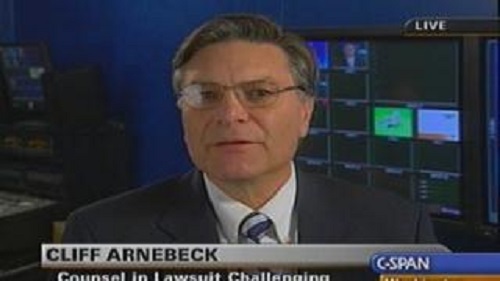 Ohio election fraud lawyer Cliff Arnebeck (see our interview with him) filed a case against the Ohio Secretary of State in an effort to retain the voting rights of African Americans, who Arnebeck claims have been at repeated risk of election fraud by use of electronic voting equipment that has not been properly certified and tested, thereby rendering this equipment vulnerable to hacking, vote dilution based on race in the notorious swing state. The case is set to be heard tomorrow, November 8th, otherwise known as the day everyone in the United States can’t wait to get over with. The RICO case has yet to be filed, so it’s possible that Arnebeck and EJUSA do not have enough data to file yet and Arnebeck is using this restraining order as a last-ditch effort before the election to delay the polling in the name of restoring democracy. EJUSA has broken the story, but with no references to verify the details of the case as of yet. A search of Ohio records currently does not show any record of the filing.